Buy porcelain jewellery and ceramics directly from Jude Winnall. FREE standard UK shipping on all jewellery. 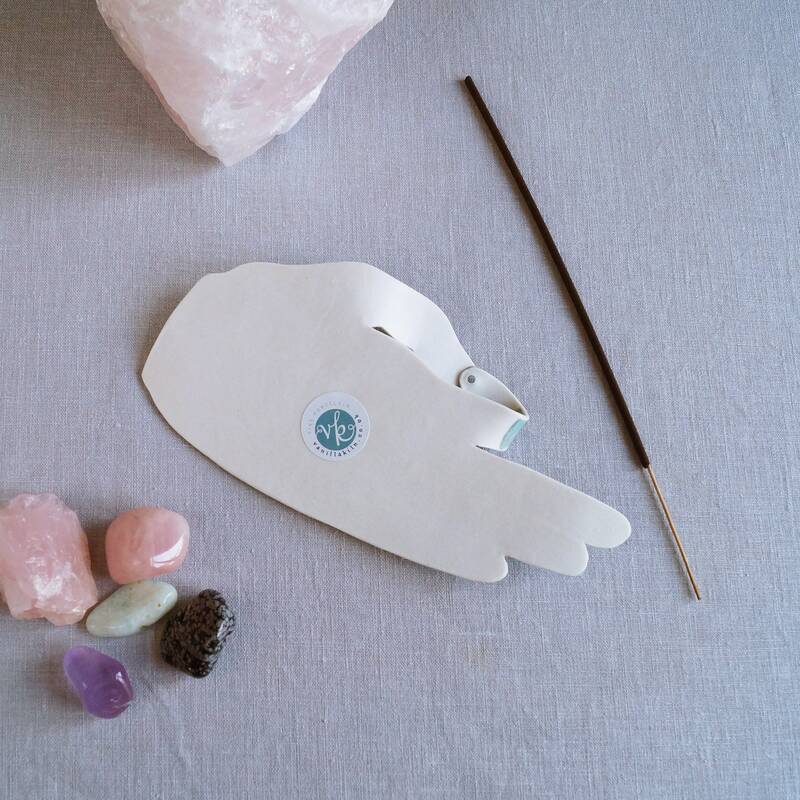 This ceramic hand has a MUDRA pose with thumb and forefinger posed to hold an incense stick. Inspired by zen and all things hand made. Hand built in porcelain clay. 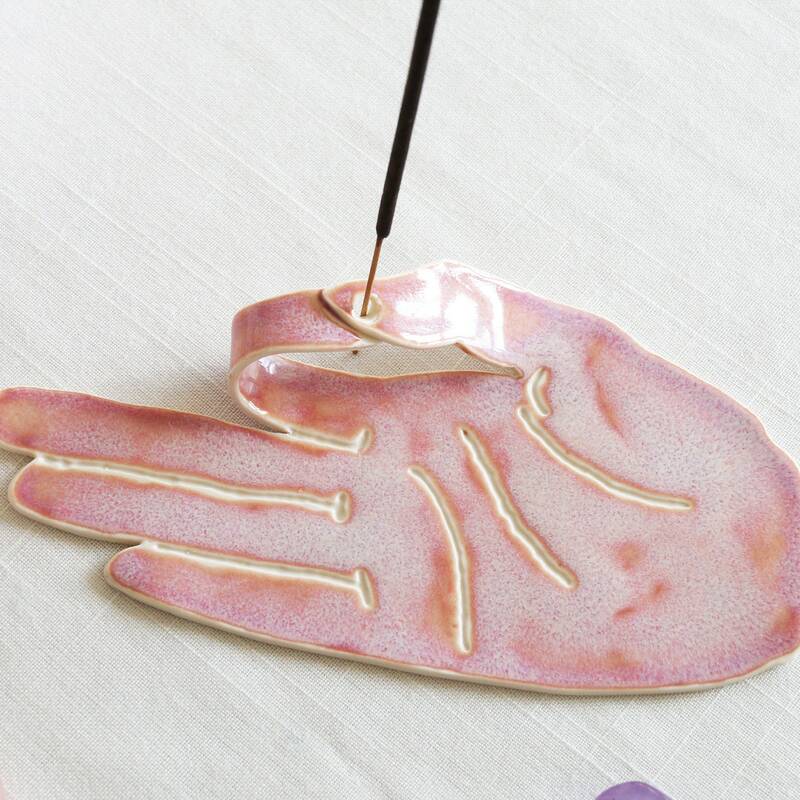 Pink glaze on palm side. Unglazed underneath. 190 mm x 90 mm approx. (Life size). Little bit of blue tac included to anchor your stick at the right angle. 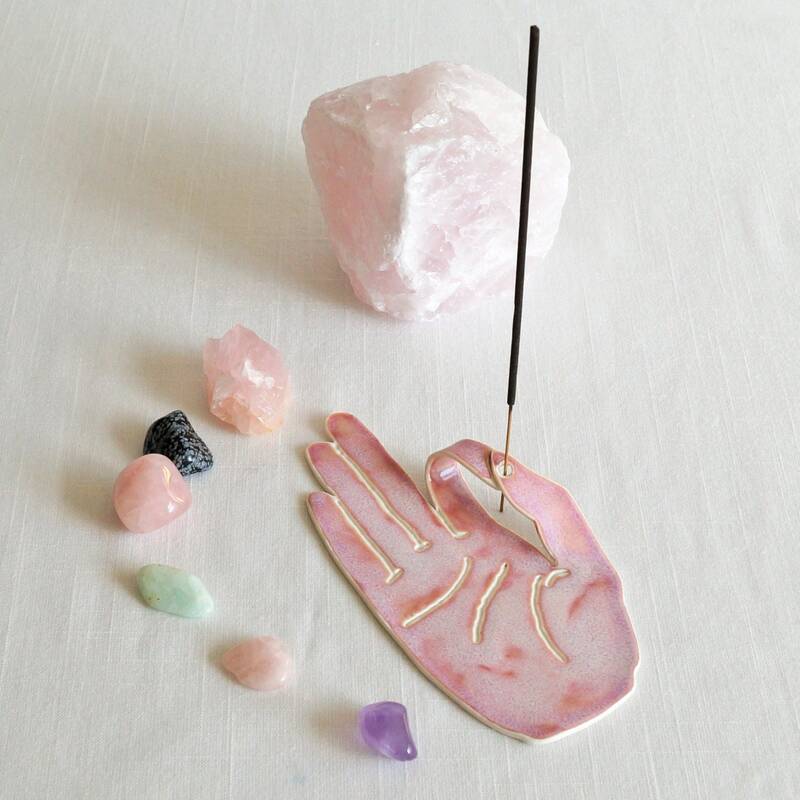 Crystals and incense not included. Please allow for slight differences due to the hand made processes. Yours will be just as beautiful as the one shown. 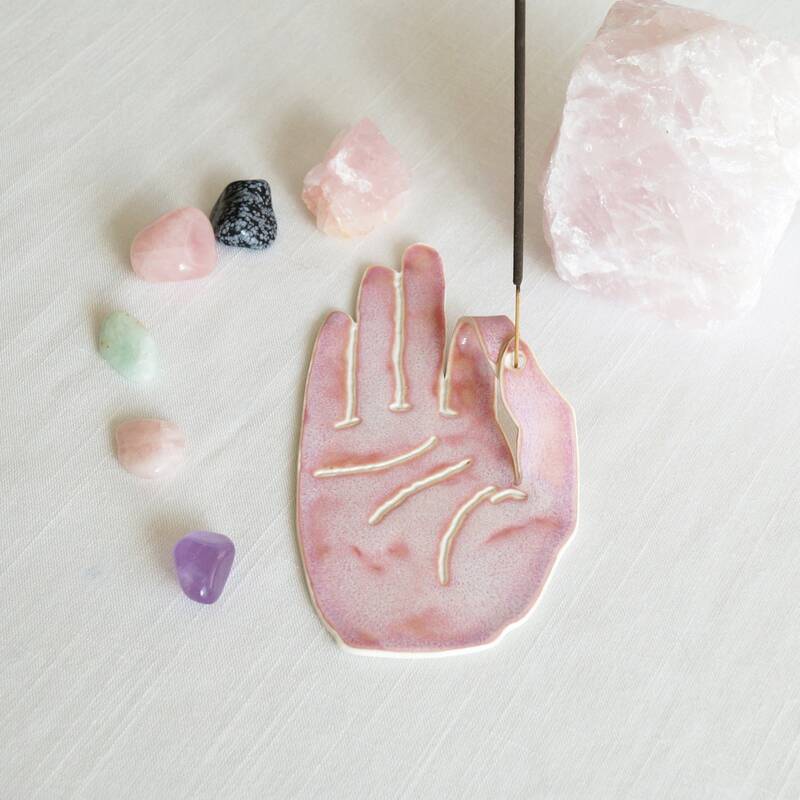 This MUDRA is modelled on my daughter's beautiful hand which is long and slender. Setting the shipping price for more than one item is not possible until I know the total value, weight and volume of the combined parcel. Please contact me if you would like a shipping quote. Alternatively please go ahead and order multiple goods and I will reimburse you for the excess postage costs when I have packed and weighed everything together. I will do everything I can to keep postage costs to a minimum. More useful shipping info in my FAQ's. Copyright and Designright Jude Winnall 2018. All the intellectual property rights in the designs and products (including the images, text, packaging and marketing material) are and will remain the property of Jude Winnall. Any infringements will be taken seriously..
A signature is required by customer on delivery. Orders over £50: Royal Mail Special Delivery, guaranteed next working day delivery by 1:00 pm. Orders £50 and under: Royal Mail 2nd Class Signed For Confirmed service, aim 3 working days. Upgraded shipping available at checkout: Royal Mail Special Delivery, guaranteed next working day delivery by 1:00 pm. Royal Mail International Tracked & Signed whose aim is 5 working days. Royal Mail International Signed (and Tracked when possible) whose aim is 7 working days. If your country is not listed please contact me for a shipping price. Setting the shipping price for more than one item is not possible until I know the total value, weight and volume of the combined parcel. Please contact me if you would like a shipping quote. Alternatively please go ahead and order multiple goods and I will reimburse you for the excess postage costs when I have packed and weighed everything together. I will do everything I can to keep postage costs to a minimum. Delay, loss or damage during transit is out of my control. If your package does not arrive by the due delivery date you may be able to track its progress online. Details will be on your shipping notification. I'm sorry but there is nothing I can do about delayed items unless they are proven to be lost. UK: 14 working days after the due delivery date. Europe: 20 working days after the due delivery date. Outside Europe: 25 working days after the due delivery date. Please contact me if you think your parcel has been lost in the post. If your order arrives damaged please contact me asap including photos of your purchase and the packaging it arrived in. If you are not completely satisfied with the purchase of your item, please contact me within 14 days of receiving the goods, and return everything to me unused including the gift box (if supplied) within 30 days of receiving the goods. I recommend that you return the goods in the same packaging as supplied and use a service that includes insurance for loss. The parcel must be marked "FRAGILE" and you have to pay for the return delivery so please make sure you get proof of posting. I reserve the right to withhold a refund for goods that get damaged on their return journey due to inadequate packaging. To comply with UK and EU law, if the total weight of silver components in a piece of VanillaKiln jewellery weighs more than 7.78 grams then it will be hallmarked. I am registered with the Edinburgh essay office. Most of the sterling silver jewellery I sell has under 7.78 grams of silver and those components will be marked 925 if possible. I purchase most findings from reputable UK bullion sellers. If you live outside the UK, airmail will be more expensive than the domestic service you may be used to. My ceramics are packed in a box with lots of packing material to minimise the chance of breaking. And unfortunately larger, heavier parcels increase the postal charges. Only Royal Mail offers insurance for loss of ceramics in transit and their Signed For options (with tracking if possible) are more expensive than standard services. Packing ceramics for shipping is a careful process but with the right size box and protective filling, I'll ensure that your purchase leaves me securely wrapped in the most economical way possible. Shipping costs are also subject to Bank and Etsy fees totalling 10%. It is the buyer's responsibility to be at the given address to receive the shipped parcel from VanillaKiln. 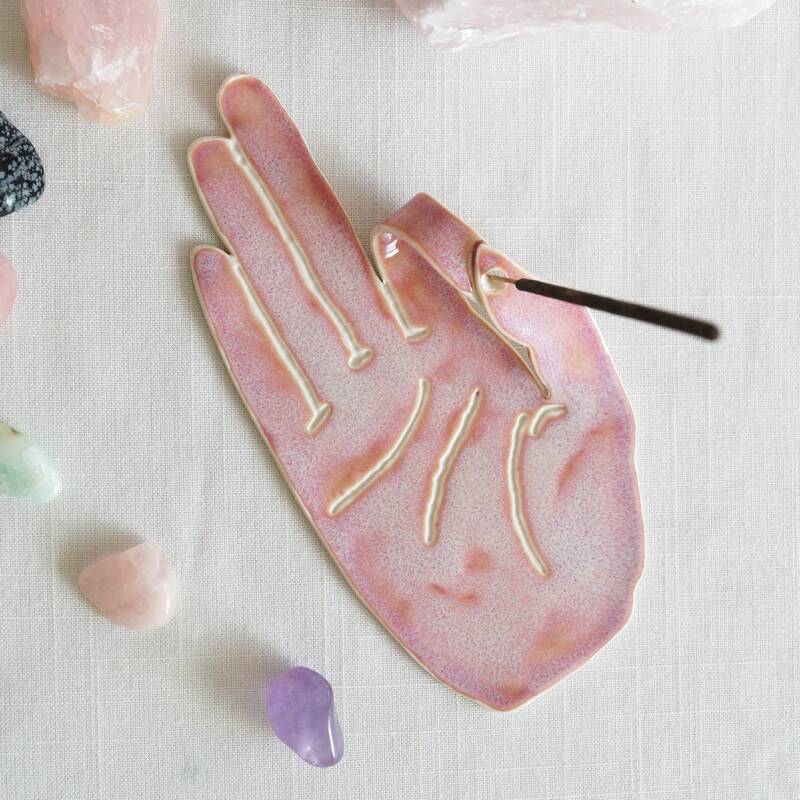 If the buyer can not do so and as a result the parcel is returned to VanillaKiln the buyer will be refunded the price of the goods (if received by VanillaKiln in saleable condition) but the buyer will not be refunded the delivery charges.